Zamantha Jean Woodruff is your Little Miss Regency International 2016. Currently, Zamantha is a 5th grader at Andrews Elementary in Whittier, California. Like a true Californian, Zamantha loves to surf and takes great pride in taking care of our California coastline by participating in monthly beach clean ups with the Community Action Team in Long Beach. Giving back to her community and bringing awareness is very important to Zamantha and is why she has for the past 5 years participated in the Children Hospital of Orange County walk that take place every October at Disneyland, Anaheim, California. This year she walked with pageant sisters from other system representing the group Crowns for CHOC. Wanting to spread the true meaning of Christmas, Zamantha is gearing up for her 5th year participating in Operation Christmas Child where she fills as many shoeboxes with small gifts and items for underprivileged children around the world. If that is not enough to keep this determine 10 year old busy, this summer, Zamantha has been volunteering at the Ronald McDonald House, Feast of the Heart, where she helps prepare meals for the families staying at the Ronald McDonald house. When Zamantha is not looking for new ways to help her community, you can find her working on her goal to become a 10th degree Black Belt Karate master. Currently a brown belt she looks forward to be called Sensei one day and open her own Dojo where she plans to help children who have been bullied or abused. Zamantha loves reading a good action book, playing with her Chihuahua Goldie and learning new dance moves at her Latin Dance class. 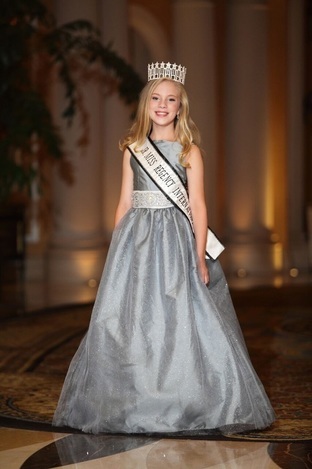 Zamantha is honored that she was chosen to represent Regency International as Little Miss Regency International 2016 and looks forward to the lucky girl that will be her successor in 2017. 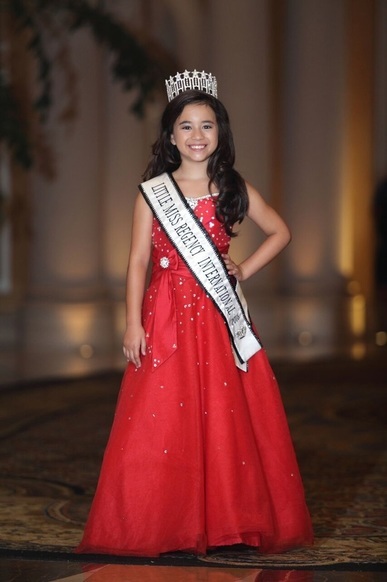 I am 11-year-old Madeline Charboneau from Houston, Texas. Like most sixth graders, I love to hang out with my friends and listen to music. I also like to read, dance, and sing. I started competing in pageants in 2014. I enjoy meeting new people and being on stage. Pageantry has improved my confidence, and it has shown me that I have the ability to make a difference in the World. I want to use my voice to bring awareness to childhood cancers and help raise money for childhood cancer research. I lead a team for the annual Walk by Faith 5K Run/Walk which is a fundraiser the Addi’s Faith Foundation, a charitable organization that funds research for childhood cancers and helps families who are struggling to afford the extra costs associated with treatment, like parking in the Med Center and getting a hotel close to the hospital when the family lives far away. I feel so blessed to be healthy, and this is just a small way I can help. Someday I want to be a doctor so that I can help even more. My name is Danni De-Bear, I’m 23 and from the South of England. I am a single mum to my 10 month old son, Logan. I was born in Oceanside, California and lived in Orlando, Florida until I was 6 and we moved to the South of England. At the age of 11 I started being bullied and this carried on until I left school. At 17, my mum entered me into my first pageant and from that moment I was hooked. I loved everything about pageantry; the charity work, the friendships, the opportunities that came from competing and holding a title and of course the getting dressed up and being on stage. As a result of years of bullying, at the age of 19 I was diagnosed with clinical depression and anxiety, this has been a constant and ongoing battle for me. Despite struggling with my mental health, I carried on competing in beauty pageants which has boosted my self confidence and made me realise the true meaning of “beauty”. Beauty comes in all shapes and sizes, everyone is beautiful in their own right, and beauty comes from within. Over the 6 years that I have competed in beauty pageants, I have realised the importance of charity work and fundraising. Over these years I have raised around £10,000 ($13,0000) for various charities such as my local children’s hospice, RNLI (life boats), Beat (for eating disorders) and MIND which is in aid of mental health disorders, to name but a few. Before becoming a mum, I was a health care assistant. Whilst in this role I worked with elderly and frail patients, those suffering with dementia, and I’ve worked with children and young adults with complex care needs. This was a very fulfilling role for me, knowing I was making a difference everyday in someone’s life and making it better or easier for them filled me with joy. On 24th December 2015 my life changed forever when I became a mum to my beautiful son, Logan. He brings me so much happiness every day, and I am so proud of the cheeky and mischievous boy he is becoming. Becoming a mother hasn’t ended my life( as people seem to think happens when you become a parent) instead it has given my life more of a meaning, to show this tiny human that he can be anything, and achieve anything he wants as long as he tries his hardest and works at it. My goal is to teach him about inner beauty and I hope that he will take this with him through life. My name is Mackenzie Young; I am 12 years old from League City, Texas. I enjoy cheerleading, tumbling and roller skating but most of all I love to give back to my community. This past year I hosted several food drives and volunteered with the homeless pets in my area. 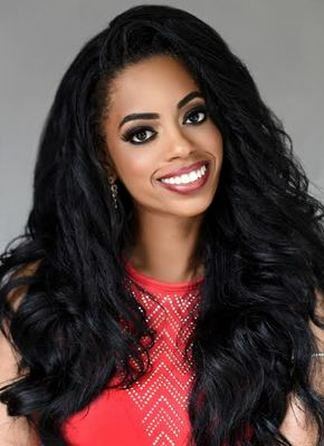 I started with Regency International Pageants in 2014 as Junior Miss Gulf Coast at the international pageant I was awarded Miss Congeniality, the community service award, the title disability award, Miss photogenic, and 1st alternate to the international title. 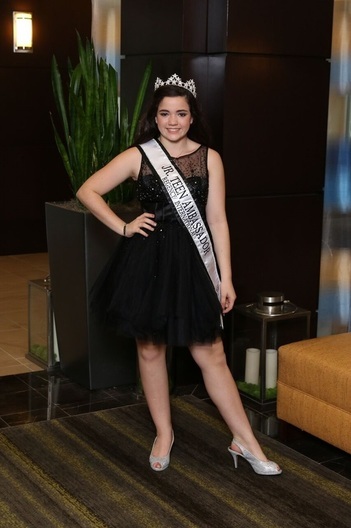 I continued my reign in 2015-2016 as Jr Miss US Regency International. I have traveled to many states representing my title. It was so much fun Crowning title holders from all over the United States. 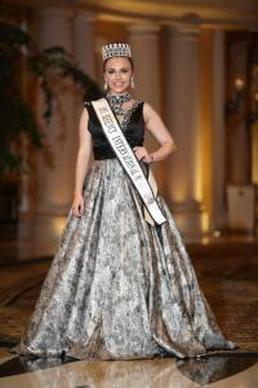 After Internationals 2016 I was awarded the title of Jr Teen Ambassador Regency International. I enjoy using my title to raise money for the local and national charities. I have met so many wonderful people and can’t wait for Texas State and International Pageant this year. See you in Las Vegas! I am Giselle Diaz and I’m 19 years of age I’m from the beautiful twin island Republic of Trinidad and Tobago. There i grew up in a small town called Sangre Grande, along with with parents and six siblings. Being the youngest in my family I’ve had a lot of role models. I’ve been involved in pageantry since the tender age of twelve. Over the years this has helped me to build my self confidence, improve my communication skills, build lasting friendships while gaining modeling opportunities and experiences along the way. I’ve participated in competitions such as Miss Bishop Centenary, Miss Sangre Grande Carnival Queen Show and Miss Beauty Trinidad and Tobago being placed first runner up consecutively , and seventh in the Miss Teen Trinidad and Tobago Pageant. Recently, I completed a certificate in Business Management and Technology at the University of the West Indies (U.W.I) Open Campus. At present, I’m pursuing a Bachelors of Law Degree at the University of the West Indies Trinidad Campus. During my free time I enjoy tutoring peers in Business and Science. I also enjoy motivating and encouraging orphans, playing football, attending gym, listening to music and learn new languages. Well allow me to introduce myself! 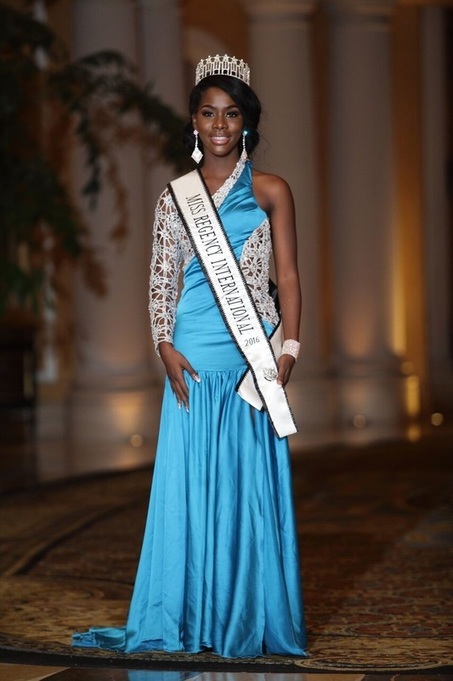 My name is Chanise Littlefield, your Mrs. Regency International. I’m currently employed with Round Rock Independent School District, as a middle school math teacher and head cheer coach. I absolutely love teaching math to my students and shaping the future by inspiring and encouraging my students to be the best they can be. I am a wife and mother of two wonderful boys. Some might say life has a way of humbling you, but I say marriage has a way of humbling you. I feel the most important elements for a successful marriage is to keep God first in your marriage and pray together. When you have God first in your marriage, you learn to operate from your heart. When you operate from your heart you can love, honor, serve, and submit to your spouse fully! Everyday I pray for my husband, and ask God to help me love and see my husband, as God sees him. My family and friends mean the world to me! My friends would describe me as very passionate, a ball of energy, high maintenance, and goofy. Whenever I do something, I always put my all into. If my heart is not in it, then I will not do it. So when I’m doing projects, work assignments, volunteering, or even debating with others, my passion for people and things shows. My family and friends always tease me saying, “Girl stop bouncing of the walls!” But when you have two young children us moms know how to always have energy and time for our family! Now yes I am high maintenance! I love to dress up, get my hair and nails done, and just be womanly. But hey what do you expect, I’m a Beauty Queen! And at the end of the day, life can get pretty serious at times, so I love to just relax and be goofy and silly with my family and friends to create great memories. From the 30 years I’ve been on this earth I have experience many rewards and accomplishment but by far the most rewarding experience I had was during my movie premier. I have been acting for several years and I recently landed a role in an independent feature film. They threw a huge premier showing and party for it. This was the first time my husband and family were able to see my work on the big screen! My husband was so proud of me, and the best moment that night was when my oldest son recognized me on the movie screen and shouted in the movie theater, “Hey, that’s my Mommy! Look mommy that’s you!” For weeks he was going around telling everyone his mother was in a movie. The best advice I have ever received is to shoot for the moon, that way if you don’t make it at least you will fall among the stars. To me this means always strive to put your best foot forward and even if you’re not the best you still a success because you gave it your all. I’m currently working at starting a program where women can gather together and to let loose, vent, figure ways to bring positive change in their community and speak positive encouragement to one another. I also would like to have fun workshops on building up young girls’ self-esteem. Looking forward to this year as your Mrs. Regency International. My name is Chailynn Chase, and I am eighteen years old. I was adopted from China four years ago by my loving American parents who support me in everything I pursue. I currently attend Faith West Academy in Katy, Texas. I am planning to study business, then hopefully start my own businesses and lead my generation to positively impact the world. Since coming to America, I have danced, learned to play the drums, and have enjoyed being a member on the debate team. My love for community service, fashion, and makeup has been a perfect fit with my recent discovery of pageantry. I have been blessed to meet so many new people, get to know them, and grow lasting friendships. Learning from and encouraging others as well as developing confidence in my English skills through the interview opportunities has been golden. 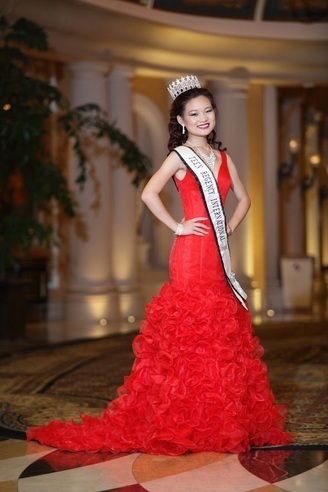 I look forward to my serve and am honored to be your 2016 Teen Miss Regency International! Hi my name is Chloe Stacy, I am your Jr. Teen Regency Internationals! When I heard my name called it was one of my best moments of my life. I love to participate in Volleyball, Track and of course pageants!! I was the only girl to make it to area for my track team running the 3200. I am the libero for my high school volleyball team and for the 18-U select volleyball team. I dedicate a lot of my time to Fish Ministries where we give back to our community. We grocery shop, clean and spend time at the nursing home. One day after college I want to become a high school math teacher. I want to thank my sister Bella and brother Kenny for all their support. I also want to thank my mom who is my hair and make up artist for all she does. I have met so many people from all around the world and am so happy for this opportunity to reign with my beautiful sister queens! Again, I am Chloe Stacy, your Jr. Teen Regency Internationals.